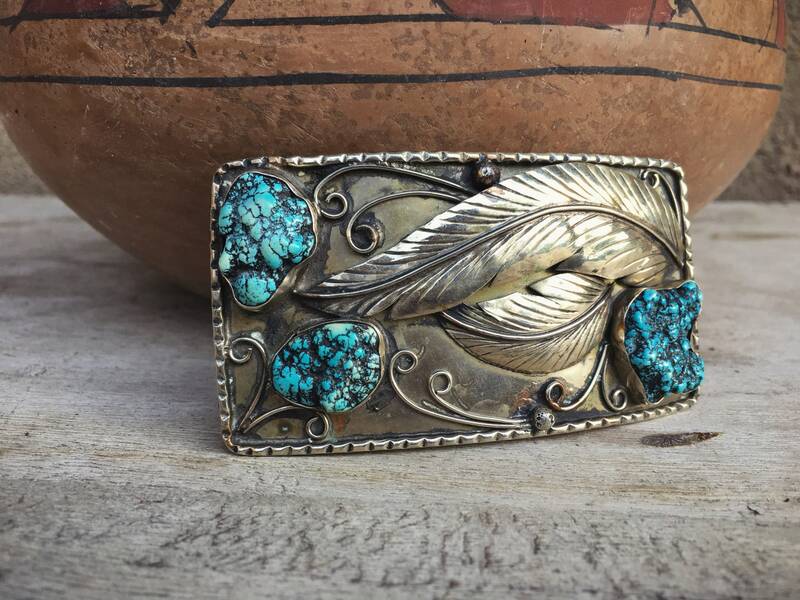 This large vintage hair barrette is made on a foundation of German Silver, yet the feathers are all hand etched and shaped, the turquoise natural, and the piece quite striking given that it was more than likely an early piece of a budding silversmith. 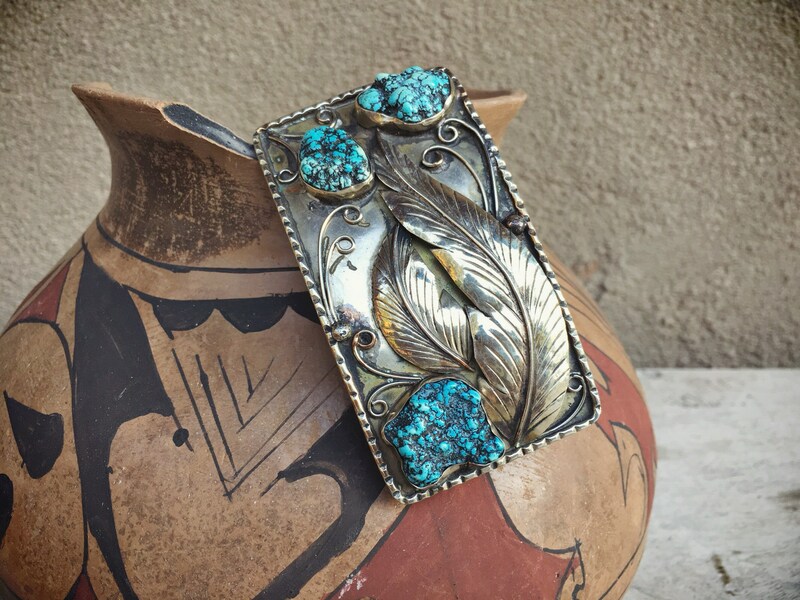 That would have accounted for why the use of German Silver and not sterling silver. 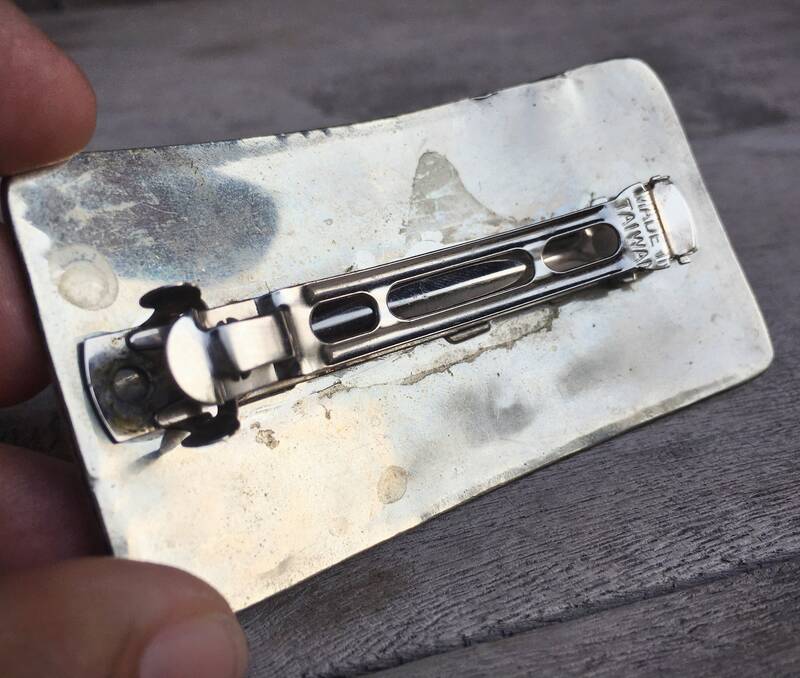 The Made in Taiwan clip ont he back tells us it is no later than early 1980 and likely the 1970s. 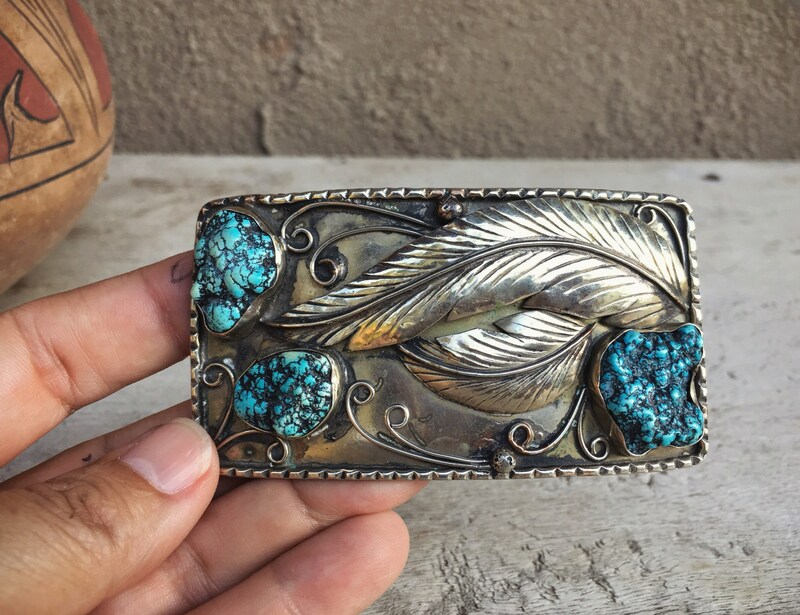 Unsigned, who while we can’t say for sure that it’s Native American; we believe it’s Navajo. Measures 3-1/2" across by just under 2" tall. 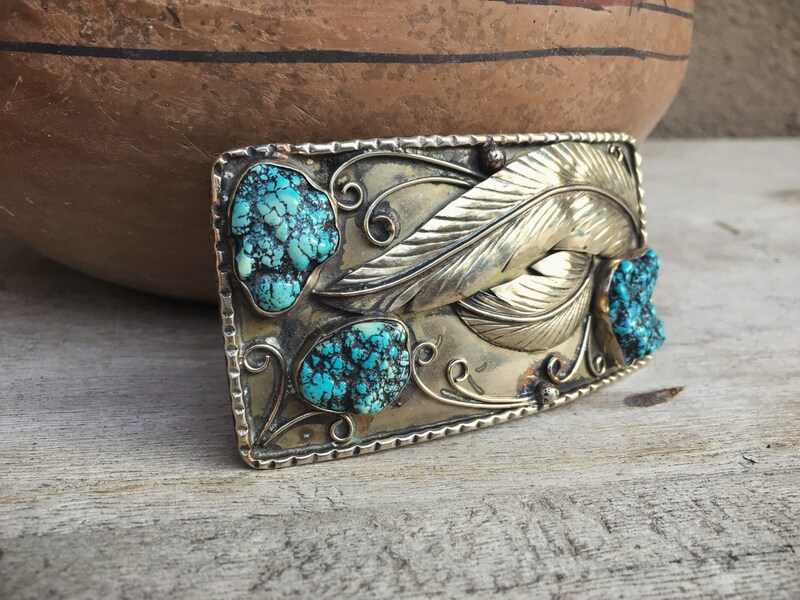 You can see the copper alloy coming through in some spots, and while the silver is not valuable, the vintage turquoise does have some value as reuse. Although I think it's quite lovely as is! Spring release clasp still works.